Universal Towel has been the leading supplier of hotel bath linens in the Philippines for more than three decades. We attribute our sustained market leadership position to our use of high quality raw materials, meticulous manufacturing process, stringent quality control measures, and the discerning taste of our valued clients. 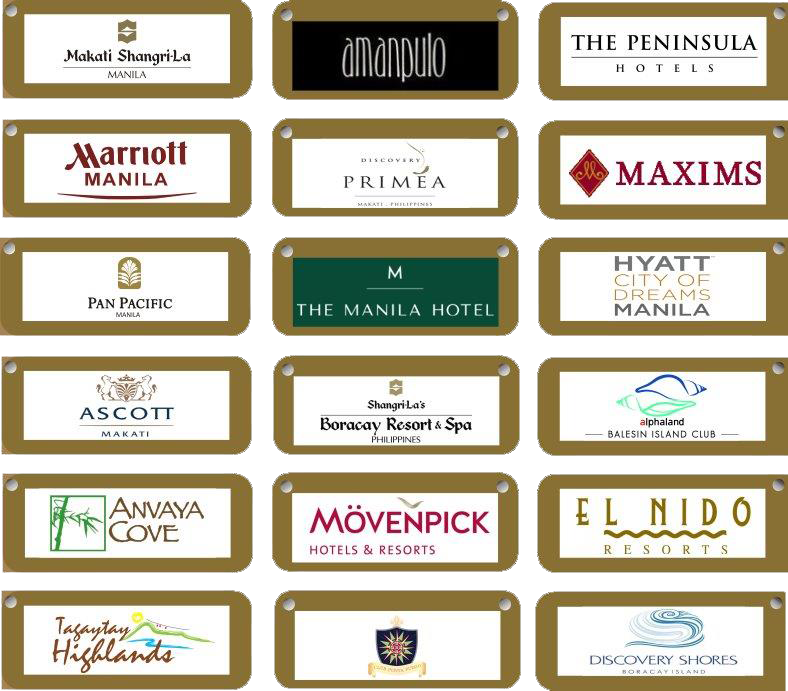 Below is a partial list of our hotel customers.